I read this article and found it very interesting, thought it might be something for you. The article is called Tamil Nadu’s Women Leaders Live, Work In The Shadow Of Violence and is located at https://archive.indiaspend.com/cover-story/tamil-nadus-women-leaders-live-work-in-the-shadow-of-violence-95289. 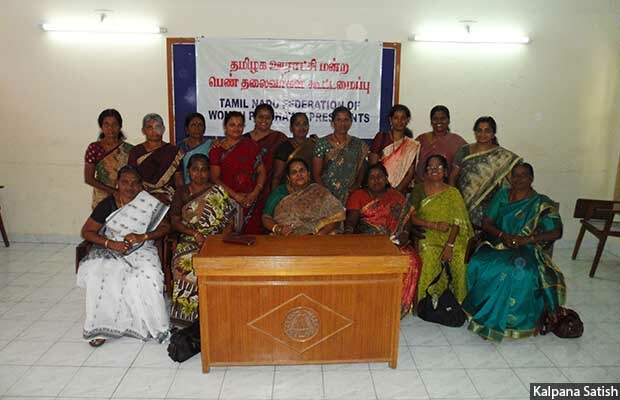 Leaders from the Tamil Nadu Women Panchayat Presidents’ Federation during a meeting in 2011. These women, who are changing rural governance in the state, have been the target of violence, threats and abuse over the last two decades. Urapakkam (Kancheepuram district), Tamil Nadu: Even by normal standards of violence in Tamil Nadu’s panchayat politics, the events of March 29, 2001, were troubling. Menaka, 35, the feisty dalit president of Urapakkam panchayat near Tambaram, a Chennai suburb, was hacked to death right in front of her office in daylight. It was 11:30 am, when a gang of four men, armed with long knives, barged into her office. While one stood guard at the door, the others slashed her neck, head and face. She was dead before her brother Nehru could rush to her defence. Menaka’s murder shook panchayat politics and rural governance in Tamil Nadu, especially members of the Tamil Nadu Women Panchayat Presidents’ Federation. But it hadn’t been entirely unexpected. Menaka’s murder, at first, appeared to be linked to political rivalry. She was handpicked by the Dravida Munnetra Kazhagam (DMK) party chief K Karunanidhi to contest the state assembly elections from the Tiruporur constituency in 2001. The party veteran had seen her rising popularity as a gram panchayat president. She had been allegedly getting death threats from rival DMK activists, including one GNR Kumar. A deeper probe conducted by a fact-finding committee instituted by the federation found that real estate mafia which had been eyeing prime properties in Urapakkam had orchestrated the murder. Menaka had resisted these overtures which began when the village was developing into a satellite real estate hub for Chennai. Instead, she redistributed 36 acres of village land among the poor. Kumar, who was arrested later in connection with her murder, had been colluding with the real estate groups, found the fact-finding committee. In the first three stories in this series on women in grassroots governance in Tamil Nadu, we saw how women were navigating gender prejudices, systemic issues like sparse resources and rigid caste structures to deliver governance in their communities. In this story, we see how violence is used as the ultimate tool of intimidation against assertive women leaders. Violence against women in grassroots politics began in 1997, a year after after 33% seats were reserved for them and they began to participate actively in rural governance. On the morning of April 23, 1997, K Leelavathi (40), a corporator of the Madurai Municipal Corporation in southern Tamil Nadu with the Communist Party of India (Marxist), was hacked to death in daylight in a bylane of Villapuram, her constituency. A weaver who lived in a small one-room tenement in Madurai, Leelavathi contested elections on the promise of bringing drinking water to the poor of Villapuram. In the first year of her tenure, she got a water pipeline laid. However, drinking water is scarce in the summer months from April to June and the corporation had to arrange for water tankers to service the community. An organised water tanker mafia operating in the area was charging Rs 5-Rs 10 per pot of water, though it was supposed to be given free by the corporation as per law. Leelavathi challenged this water mafia and was murdered soon after. All of Madurai was shocked. Women political leaders are easy targets for political violence, especially if they belong to marginalised sections of the society such as scheduled castes and tribes and have few or no assets. Much of the backlash against women leaders in Tamil Nadu can be traced to the fact that they shook up male dominance in politics. Even J Jayalalithaa, the former chief minister and one of the most popular leaders in the state, was subject to verbal and physical assault in the state assembly for questioning the then chief minister K Karunanidhi’s budget speech in 1989. The first local body elections in 1996 following the 73rd Constitutional Amendment, held after a gap of 20 years, were largely uncontested. Women, who for the first time could hold elected positions from seats reserved for them, were usually selected by the village elders on the basis of their education, family background and so on. 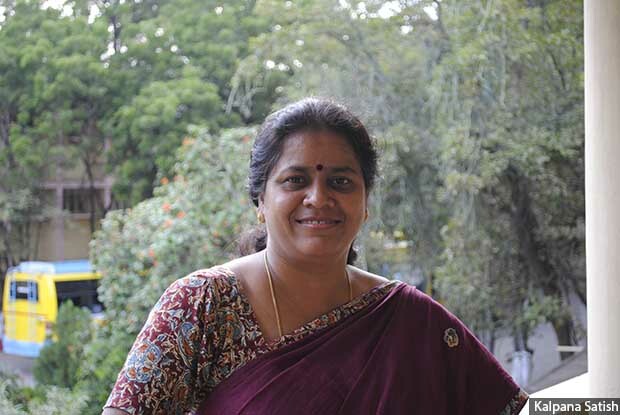 Rani Sathappan, the former president of K Rayavaram panchayat in Sivagangai district, was part of the first cohort in 1996. She vividly remembered the day 10 men from her village came to her house to inform her that she should contest because she came from the ‘right’ family. Rani Sathappan, the former president of K Rayavaram panchayat in Sivagangai district, was compelled to contest by the elderly men in her village in 1996. In the first election in 1996, women were usually selected by the village elders on the basis of their education, family background among other things. The early years of female involvement had been empowering and mostly trouble-free. In 1996, there was little awareness about panchayat institutions and the powers of the president, even though they were designated as executive authority, giving them financial powers to sign cheques. Between 1996-2001, for the first time, women leaders were learning the ropes of governance and getting trained in a domain that was considered exclusively male. Kalpana Satish trained members of the Tamil Nadu Women Panchayat Presidents’ Federation in leadership. But these were seminal years, when women were learning the ropes of administration and governance, attending trainings conducted by NGOs and universities such as Gandhigram Rural University. They were meeting with bureaucrats at all levels, travelling as far as Chennai to meet the commissioner of rural development. This was also when they were organising themselves into the federation, a state-level network of women panchayat presidents. Women were signing cheques and getting development funds for roads, water and bridges–infrastructure no one had seen in 50 years. By the second round of panchayat elections in 2001, it began to dawn upon the upper caste male elite with political aspirations that women leaders had enough powers to make a real difference. This was also the time when money started entering the election process and political parties started participating in rural governance. This also meant that money spent on elections had to be recovered. Corrupt practices grew in gram panchayat works where fixed percentage “commissions” became the norm. Dominant caste vice presidents took to forcing dalit women presidents into parting with these “commissions”, as we reported earlier. What also became problematic was the power Panchayat heads had to deal with land-related issues–grant permission to corporate groups to set up factories, remove illegal encroachments from commons or approve land allotment to real estate groups. Panchayat presidents in Tamil Nadu have the power to grant or reject permission to set up industry within the remit of the gram panchayat, as per Section 160 of the Tamil Nadu Panchayat Act, 1996. It was these powers that caused the most antagonism. Jothimani Sennimalai (42), the former councillor of Gudalur west panchayat in Karur district, knows this danger well. She fought a long and protracted legal battle in the Madurai High Court against sand-mining in Amaravathi river in Karur. She was abused and threatened by miners but got marched ahead with unflinching support from the community. 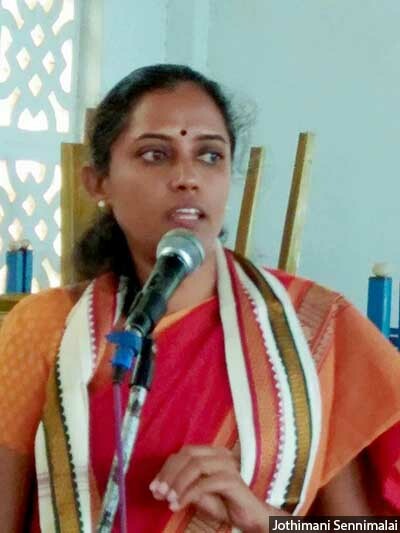 Jothimani Sennimalai, the former councillor of Gudalur west panchayat in Karur district, received verbal abuse and threats for taking on the sand mafia that were mining the Amaravati river in Karur district. Land and sand are two dangerous issues in Tamil Nadu that pose considerable risk to women leaders who dare to stand against them. P Krishnaveni, the dalit head of Thalaiyuthu panchayat in Tirunelveli district who featured in our 2017 series on women panchayat presidents, had a narrow escape. She had taken powerful castes that had encroached on Poromboke (village common land) that she reclaimed. 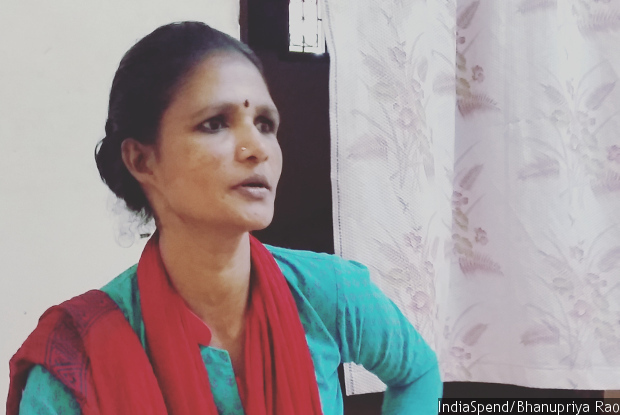 She had also rejected India Cements’ bid to set up a polluting cement factory in her village. In 2011, she was attacked by 15 men, barely 200 metres from her home. Krishnaveni survived, but it took her months to recover. P Krishnaveni, the dalit dalit head of Thalaiyuthu panchayat in Tirunelveli district, was attacked by 15 men close to her home, for waging a sustained fight against land encroachers and the corporate group India Cements that wanted to build a polluting cement factory in her village. Dalit women presidents are particularly prone to abuse, threats and physical attacks when they take on powerful vested interests because of weak support from within and outside their communities. Are women leaders more vulnerable to violence than men? There is also the difference between how men and women build networks and alliances at work. Training for women leaders is focussed on laws and compliance–how to maintain accounts, implement government schemes, what are the structures of bureaucracy and how to access them. Crucial aspects of politics–the power networks, the nexus between big capital, industry and politics–these are not a part of the lessons. So Menaka believed that all the death threats were from political rivals, while actually they had come from fellow party activists of the DMK. What she had not figured out was that the real estate mafia was working with party activists to get control of the land she had chosen to redistribute to the poor. 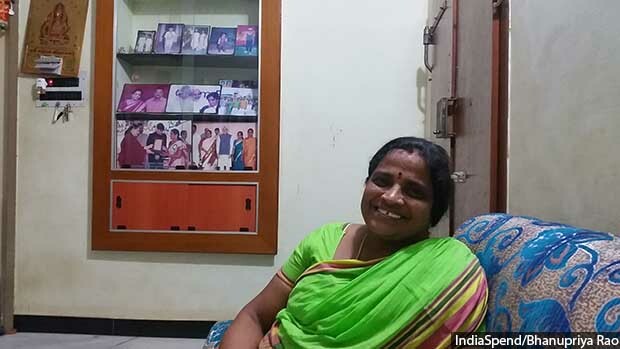 Krishnaveni, on the other hand, saw the clear link between her resistance to the capture of land resources and the threats to her life because she had been active in the dalit rights movement in Tirunelveli. That still did not protect her from the near-fatal attack. Dalit women leaders are particularly prone to abuse, threats and physical attacks. This is particularly true of those with no wealth or assets and are dependent on employment on farms owned by dominant castes. It has also been seen that women leaders from upper castes are able to build better alliances that cushion them from physical and verbal abuse. But as our earlier story pointed out, poor dalit women get no support at all–from within or outside their communities. Communities are okay as long as women leaders tackle what are considered “soft issues”–child marriage, microcredit, toilets, water and so on. They are expected to be reformists but not rebels. Where are the safe spaces for women leaders? A few months before the attack on Krishnaveni, activists of the Arunthatiyar Human Rights Forum in Tirunelveli district had written to the department of rural development and panchayati raj in Chennai and to the Tirunelveli district administration, seeking protection for dalit panchayat leaders. In all three instances of attacks featured in this story, women leaders had lodged FIRs, but were given no effective protection. When Krishnaveni was in the hospital, the Tirunelveli superintendent of police (SP) had visited and offered her Rs 50,000 as compensation. Even political parties fail to protect vulnerable women leaders. The DMK, for instance, treated the threats to Menaka’s life as a local problem. Krishnaveni’s attackers were never arrested. Kumar, who was arrested for Menaka’s murder after pressure from federation leaders, was later acquitted. After Menaka was murdered, the federation petitioned the Rural development minister to allow dalit women leaders the license to bear arms, extending the provision that exists in the SCs and STs (Prevention of Atrocities) Act, 1989. 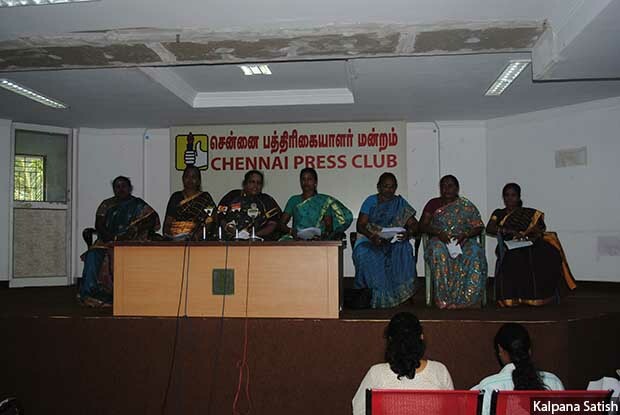 Women leaders from the Tamil Nadu Women Panchayat Presidents’ Federation held a press conference in Chennai in 2011 to highlight the vulnerability of dalit women leaders who are particularly vulnerable, demanding adequate protection from the state. Krishnaveni, seated fourth from left, highlighted issues of corruption and threats leaders like her face. She was brutally attacked a few months later. Urapakkam today is a sprawling real estate hub, barely recognisable from 2001, when it was a quiet hamlet. “Urapakkam is a town built on the blood of Menaka, who fought for the landless poor,” is how Kalpana Satish summed up its place in the history of women’s leadership in Tamil Nadu. This is the fourth of a five-part series on women panchayat leaders in Tamil Nadu. You can read the first part here, the second part here and the third part here. The report achieved its objective of highlighting issues faced by women in politics. Comments by women law makers of our country add to the findings of Ms.Rao.